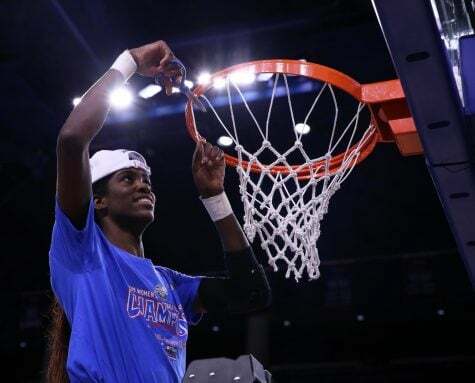 DePaul (24-7; 15-3 Big East) opened up their first game of the Big East Tournament with a decisive 78-52 victory over the Seton Hall Pirates (16-15; 7-11 Big East) on Sunday night at Wintrust Arena to advance to the semifinals. 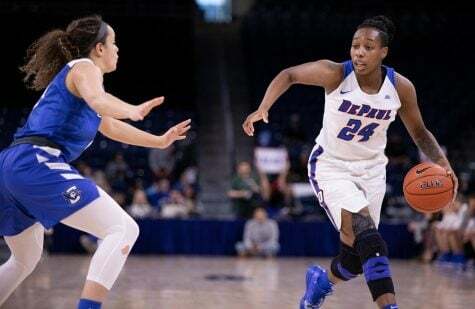 Despite shooting just 39.2 percent from the field and 31.8 percent from behind the arc, the Blue Demons were able to muscle their way past the Pirates by outrebounding them 48-35. Impressively, the Blue Demons dominated the offensive glass and grabbed 19 offensive rebounds to just seven for the Pirates. As a result, the Blue Demons scored 19 second chance points. Another key factor that played a vital role in the win was the Blue Demons’ ability to force the Pirates into turnovers. 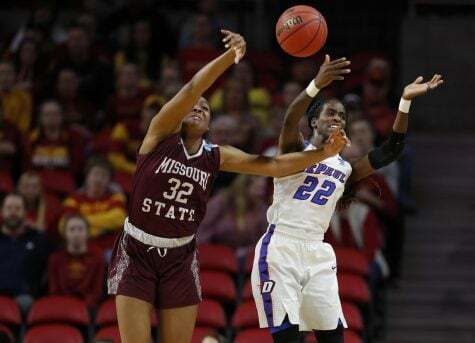 The Blue Demons forced the Pirates into 15 turnovers, which led to 19 points off turnovers for the Blue Demons. 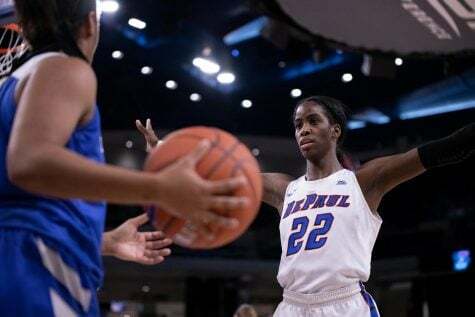 Redshirt junior forward Mart’e Grays led the way for DePaul by way of posting a double-double, the third of her career. 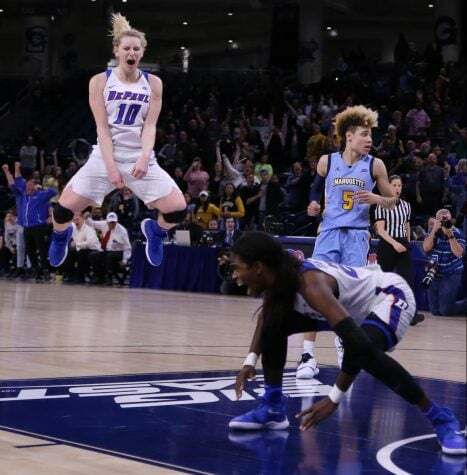 Grays scored the first points of the game for the Blue Demons on a 3-pointer from the right wing 25 seconds in, and the rest was a night for Grays to remember. Her other teammates definitely helped. Sophomore forward Chante Stonewall recorded her second consecutive double-double pouring in 11 points, while grabbing 10 rebounds. In addition, redshirt junior guard Ashton Millender scored 15 points on five-of-nine shooting from deep. 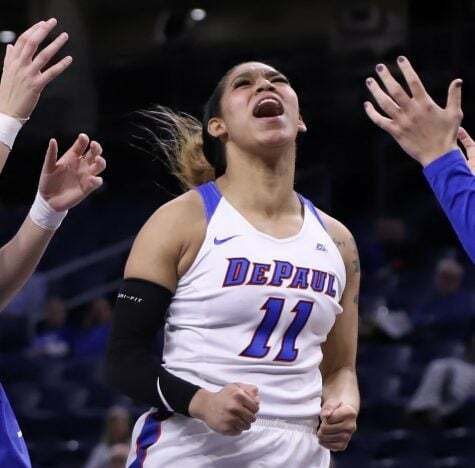 While the scoreboard indicated the Blue Demons won by a hefty margin, DePaul didn’t always have a big lead. 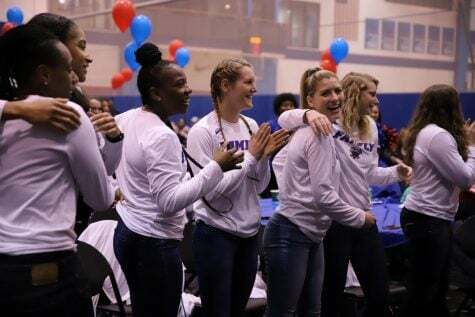 Following a superb first quarter where the Blue Demons concluded with a 27-17 lead, the second quarter proved to be disastrous. The Pirates’ zone defense pressure picked up, which slowed down the Blue Demons’ offense. 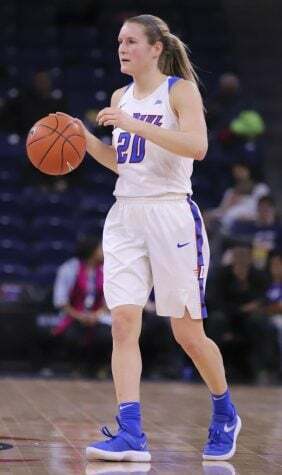 As a result, Blue Demons missed their first five field goal attempts, committed six turnovers, and ended up tallying an underwhelming nine points off a mere three-of-15 overall shooting. In fact, out of those 15 shot attempts, 10 of them were from 3-point range and only two of them went in. 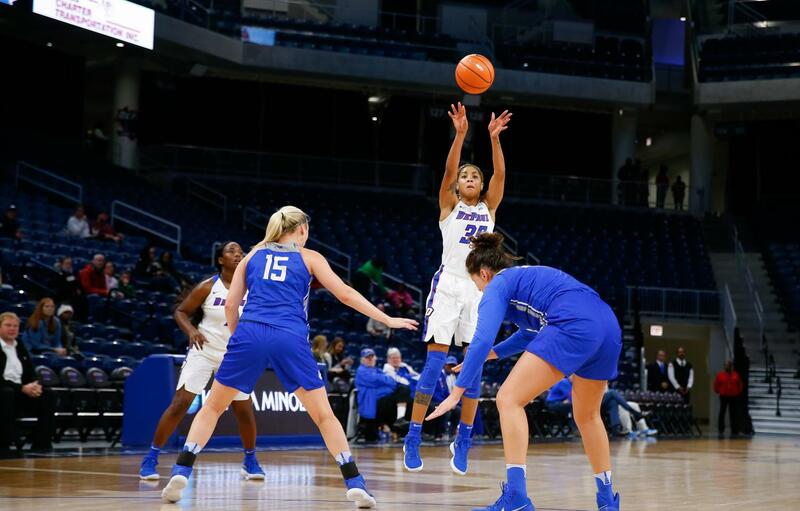 Immediately after halftime, the Blue Demons began finding holes in the Pirates’ defense that resulted in numerous high-percentage perimeter shots through paint touches. 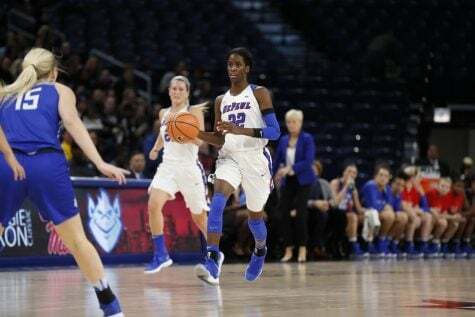 Just eight seconds into the third quarter, Millender drained a 3-pointer from the left wing and the Blue Demons opened on an 11-2 run in the first four and-a-half minutes that extended their lead to 15 points. 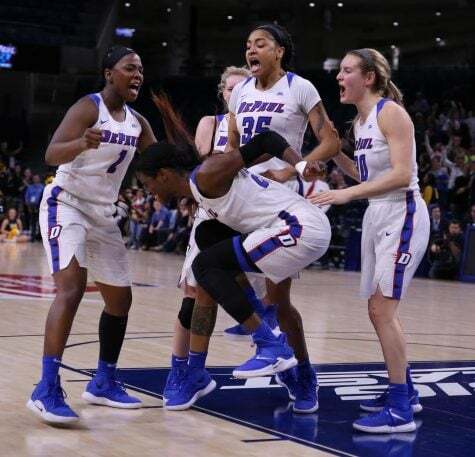 From that point on, the Blue Demons continued to pour in baskets in route to outscoring the Pirates 42-20. Senior guard Amarah Coleman left the game late in the fourth quarter after a hard fall going for a rebound. While Coleman did not return, she remained on the bench for the final 7:14 with the game comfortably in hand. With this game in the books, DePaul will face the Georgetown Hoyas (15-14, 9-9 Big East) on Monday evening after they knocked off Villanova in the final quarterfinal of the day.